Scoliosis is a common condition and really no one is immune from it. This is not a disease and most of the time it may not require any treatment at all, but even those that does not require a treatment should be closely monitored. The key is early detection. Once detected, the goal is to prevent the curve from getting worse. Monitoring is key to any disorder, but when it comes to abnormal spinal curve (scoliosis) monitoring should be done for all. Every child between ages 6 to 14 should have their spine checked at least once every year. If there is a scoliotic curve detected, the child needs to have radiographic evaluations once every 3 months until mid to late teenage years and then once every 6 months after skeletal maturation. It is said that one should go to a dentist at least once every 6 months. The same holds true for the spine. Have your child checked on regular basis. All too often, parents are in disheartened when they learn that their child has a moderate or severe scoliosis. 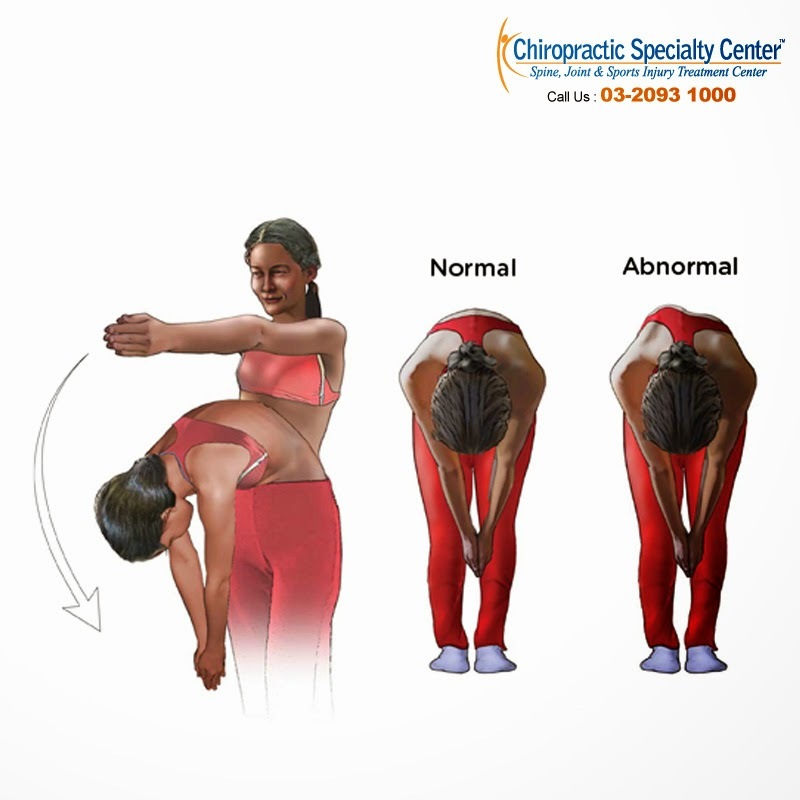 A moderate or a severe scoliosis does not develop over night. It takes time, sometimes years. In almost all cases these could have ben caught earlier and certain procedures and exercises could have been prescribed to prevent worsening of the curve. Some may be too busy, some may not know where to go to have their child evaluated and there are some that are prevented from going because of financial difficulties. Regardless of the reason, we implore all parents to have their kids 6 and older checked for scoliosis on regular basis. The best place to have this done is by a person that understands scoliotic curvatures. Typically, pediatricians, orthopedic surgeons that specialize in kids,chiropractors and some physiotherapist are best suited for this. 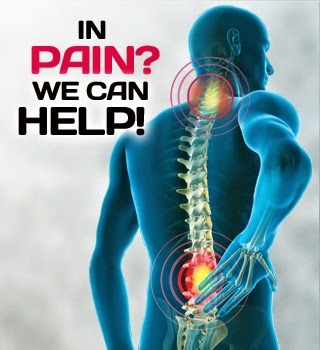 In our centers, our team of expert chiropractors and spine physiotherapist can easily detect and render advice for you. We do not recommend self-diagnosing or diagnosing your child on your own, unless you are an expert in the filed of spine, joint or sports injuries. But for those whom time or resources are limited and they have no other choice at all, we have provided a quick and easy system of a simplified check-up. Please remember that this method is only able to detect scoliosis conditions that are moderate or worse. Milder forms and certain curve types may not be detected by this self-help system. In any case, read through and perform the procedure on your child. Feel free to call our main office at 03-2093 1000 for information. We encourage every one of our visitors to have the spines of their kids evaluated by an expert that understands. Spinal conditions. You can have one of our chiropractors or spine physiotherapists look and evaluate your child’s spine. But for many, it may be difficult. If you happen to be one of those with limited time, at least do some monitoring at home, by taking notes of some signs. Again, do not assume that your child does not have this. It is better to monitor and know today rather than tomorrow. Key to prevention is early detection. To check your child for scoliosis at home you will need to have him or her remove their shirt to make the spine visible. Have them stand straight and take note of the height of their shoulders. Both shoulders should be at the exact same height. If one is higher than the other, chances are there is a scoliotic curve. Also, there are those that have perfectly levelled shoulders with scoliosis. This is why you need to further monitor using another sign call the Adam’s Scoliosis Sign. Adam’s sign is particularly helpful in detecting a curve. You can easily do this test by asking your child to bend forward, starting at the waist until the back comes in the horizontal plane, with the feet together, arms hanging and the knees in extension. Ask your child to hold his or her palms together. 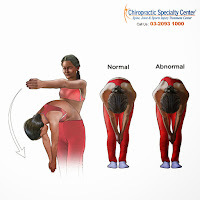 When they in in proper position, you as the examiner should stand at the back (behind your child) and look along the horizontal plane of the spine, searching for side bending of the spinal bone, asymmetry of the trunk or a hump on either side of the spine.